Critical Up is a Attack Chip in Nier: Automata. Increase critical hit rate by [x]%. Does this apply to pod attacks as well? Farmed my +8 diamond very early in the game with the help of a sidequest. Quest is called Family Squabble. 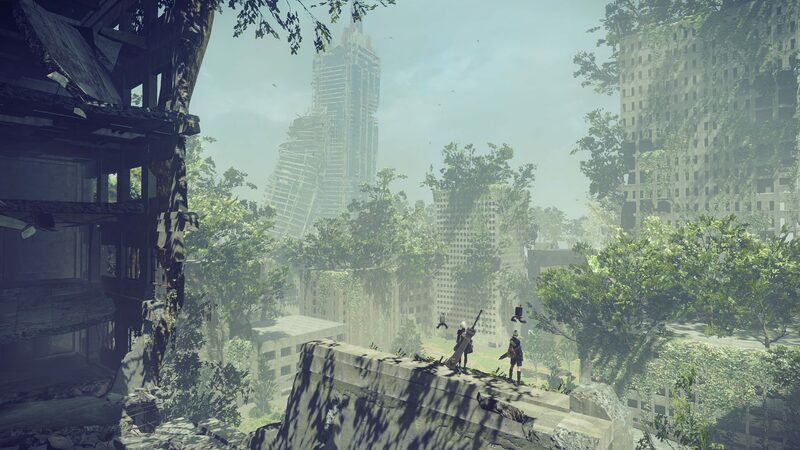 After the Assault to City Ruins in which the crater in the middle appears going to Pascal&apos;s Village through the shortcut in City Ruins will let you accept the side quest with the mother and the child arguing. Go to City Ruins (do a quick save) find the child and protect him from the Small Bipeds, once defeated before picking everything up do a quick save just in case you end up talking to him by mistake instead of picking that item close to him. They only drop Critical UP chips which makes this farming quite fast and you can do this until you get your +8 diamond, sell the bad ones for good money as well, if by accident you talk to the child just exit the game and load it again and repeat the process. Best way to farm for crit up is to go to the chapter right after 2B escapes the "religious factory", and tranport to the City Ruins: Near Factory. There will be a lot of small bipeds which drop crit up which respawns quite a lot. I usually move from the City Ruins: Near factory towards the Resistance camp (place NEAR the entrance, not within), then to the place where you fight Eve. Move back to the City Ruins: Near factory across the place where you first speed raced (right before you go up the collapsed buildings) to the Engel&apos;s body and below the bridge towards the factory. Then save and go back to the chapter and repeat. You&apos;ll also encounter a lot of medium bipeds, which give you weapon damage upgrades, and goliath bipeds which give you down-attack up chips. Ignore the small stubbys since they give you no chips. You can also fight some medium flyers near the City Ruins: Center on your way to the place you encounter Eve, which give you Ranged Attack Upgrades. I will post a video link to this farming technique if I ever record it. If someone finds a good place to farm this chips I would like to know. so far the best place for me is the cave leading to Emil real house.